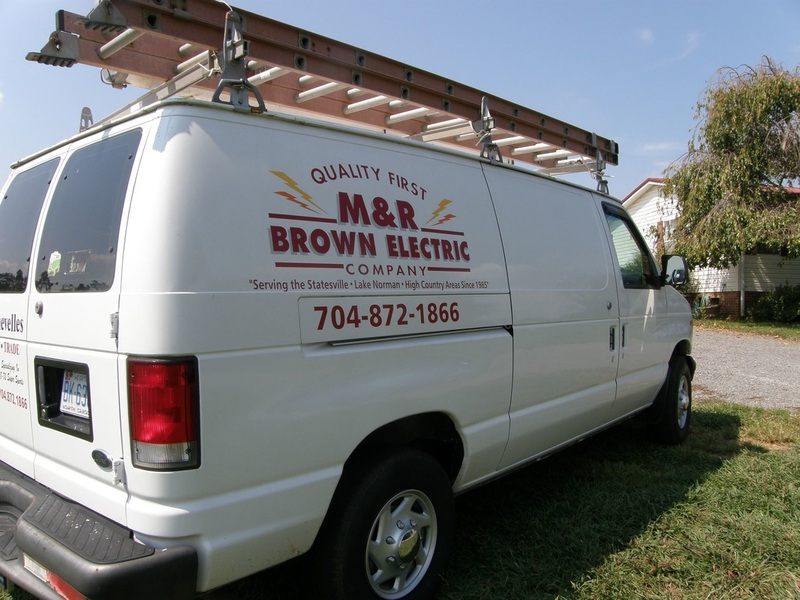 We appreciate your interest in M & R Brown Electric services! I started my career in the electrical field during high school in the late 1970s with a Statesville company where I learned new home wiring and renovation rewiring. After 2 years in factory maintenance and electrical work, I moved to Charlotte and worked for Hill Electric, a company that contracted diverse electrical projects. This tenure allowed me to gain additional experience with assignments in house wiring, general repairs in various locations such as retail stores, night clubs, a popcorn factory, tire shops, funeral homes and more. Working with very seasoned career electricians, I gained hands-on knowledge from each of these great old-school electricians. I quickly developed a various ways to approach a project or solve the electrical issue within the client's budget. After Hill Electric, I returned to new home wiring with New Home Electrical Wiring near Lake Norman, North Carolina. My early experiences contributed to design plans for future success in this industry. I earned my North Carolina Electrical License in 1985 and started M & R Brown Electric. As an electrical contractor, I continued to develop people skills and established fair prices to serve my clients. With the experience of wiring over 8,000 square feet of Lake Norman homes, condominiums, town homes, apartments, as well as mobile and modular home hook-ups. M & R Brown Electric is the rare contractor with the skills to repair and prepare internal mobile home internal wiring. Contact us, today! We take the time to discuss your projects and electrical needs prior to proposing a fair and reasonable quote. ​M & R Brown Electric Co.